Shaped a bit like a log-splitting axe and about the same size as a log-splitting axe, my new can-opener works along similar lines to a log-splitting axe. So when I hit the top of the tin, it opened quite easily. Like many inventions, it requires a bit of refinement: the time saved searching for a proper can-opener would have been less than the time it took to wipe the chunks of rabbit off my nearly-clean trousers. Not to mention the gravy in my hair. But while it’s back to the drawing board for the can-opener, we’ve got other innovations on the boil here at Kelso Racecourse. Sometimes new ideas emerge, not from necessity, but from a simple desire to keep making things better. The most important asset at any racecourse is the track. Management of the turf at all racecourses has improved dramatically over the last 30 years and we all put huge amounts of energy into presenting the turf in optimum condition for the horses. Well, all racecourses that aren’t all-weather tracks anyway. Quite apart from manipulating the Going through an appropriate balance of drainage and irrigation, that means producing a good covering of healthy grass with decent roots at all times of the year. Growing grass on a racecourse is no longer an agricultural operation, it’s a horticultural one as we micro-manage the conditions for germinating seed and encouraging growth in all weathers. That’s why we’ve linked up with a team of specialists to become the first racecourse in Britain to trial the growth of grass beneath artificial lights. While the practice has become common on football pitches in recent years, to repair the grass in penalty boxes, the equipment used inside sporting stadia would be too delicate to withstand the windy conditions out on a racecourse. 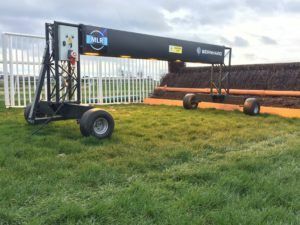 Bernhard and Company, who have developed robust lighting-rigs for golf courses, have chosen to work with the Kelso ground-staff to demonstrate how the equipment can be applied to racecourses. The rigs cover only a small area of ground, so we’re concentrating on the areas that receive the most intense wear – the take-off and landing areas either side of the obstacles. By using a combination of coated grass-seed that can germinate in low temperatures, germination sheets to retain soil temperature and the Bernhard equipment to augment the daylight with artificial light, it should be possible to grow grass during a Scottish Winter. 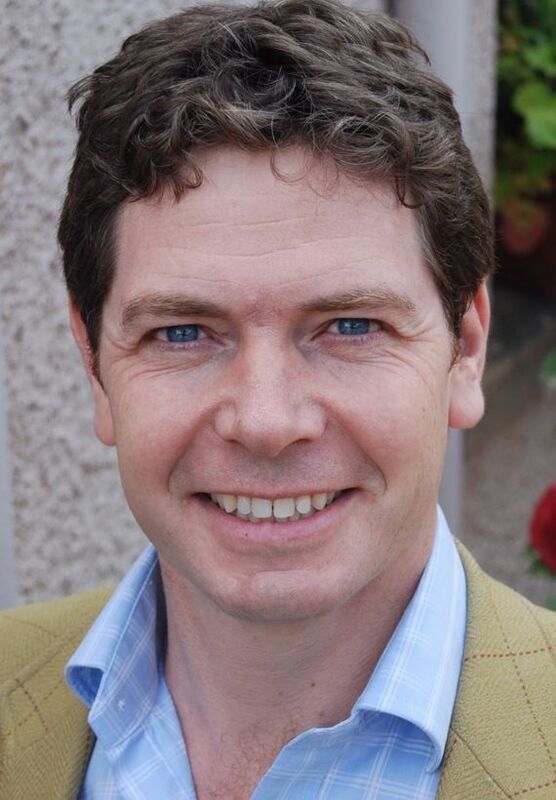 The current short trial, which has received financial support from Scottish Enterprise, is expected to lead to a longer trial at Kelso next Winter, during which time we hope to provide the perfect cushion of turf for our equine participants – horses like Blue Flight, who goes for his third straight win at Kelso on Saturday when the valuable programme of races will be broadcast live by ITV. Now, as we make the final preparations for the races, it’s time to split some logs for the wood-burning braziers that surround the Parade Ring. I’m wondering… where did I leave that can-opener?